At the end of a closely fought season, the results of Team Peugeot Total provide abundant proof of the intrinsic competitiveness of the car, the drivers and the team itself. Peugeot scored four wins from the five LMS races including a one-two finish, two cars on the podium at Le Mans, with three cars finishing the race, and every pole position this season, including the Le Mans 24 Hours. 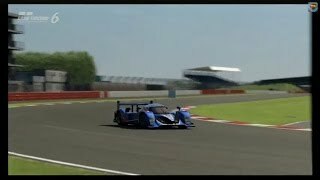 Following a hard-fought battle with the competition yesterday at Silverstone, the N�7 908 HDi FAP crashed out of the race through contact with a slower competitor. 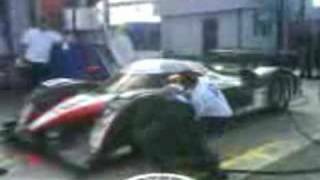 The second 908 HDi FAP, with St�phane Sarrazin at the wheel, collided with the N�1 Audi after having overtaken it. The car returned to the pits for repairs to a broken wishbone, hydraulic line, water radiator and rear crash box. Sarrazin restarted 25 minutes later, and went on a charge in order to climb back through the field. He broke the fastest race lap six times, finally leaving it at 1m 31.166s. It once again demonstrated the high level of performance of the team�s engineers and technicians, as well as underlining the mechanical quality of the car. 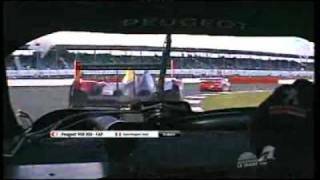 2008 was a second extremely hard-fought season against a competitor which has been competing in endurance racing for a decade. Team Peugeot Total claimed major wins throughout an exciting championship, which was characterised by the unstinting competition between two major players in world motorsport. 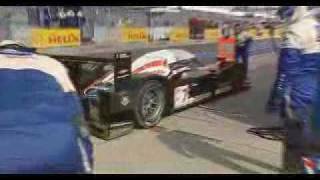 In 2009, Peugeot�s motivation to win in the Le Mans Series and at the Le Mans 24 Hours will be as great as ever. 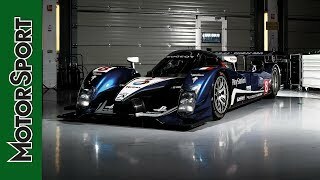 Furthermore, Peugeot has once again proven that it is at the cutting edge of automotive technology, as the first manufacturer to use top-level motorsport to introduce and develop a hybrid competition car: the 908 HY. When the 2009 season begins, all Peugeot enthusiasts will be behind Peugeot Sport, supporting the team throughout what promises to be another compelling season.